Dragonfly Swiftly. If this comes in a LS or tank I might need it. New tank called the Enhearten Tank. It's made of luon. The top color is space dye twist 6 colour dragonfly naval blue and the middle is space dye camo caspian blue sapphire blue/sapphire blue. New swift singlet called the 5 Mile Singlet. 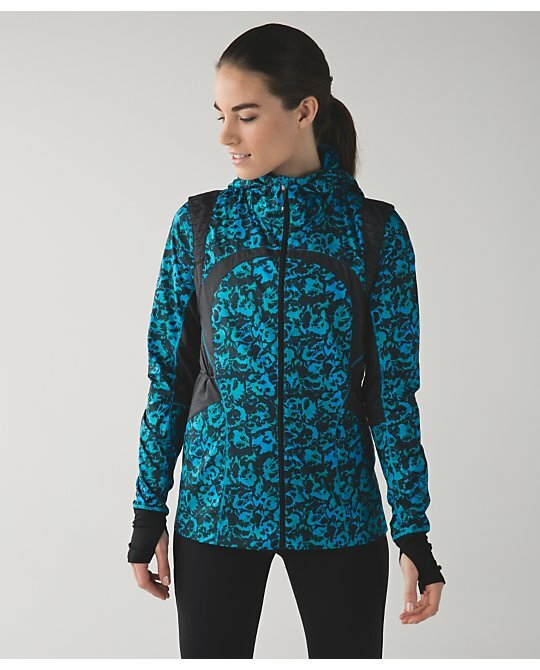 Shown in Fleur Sombre print white/silver fox and Fleur Sombre kayak blue /dragonfly. New tank called the Lighten Up Tank. Shown in Dragonfly and Kayak Blue. New Free Flow Bra. Shown in Bleached Coral and Shadow Wrap Multi. 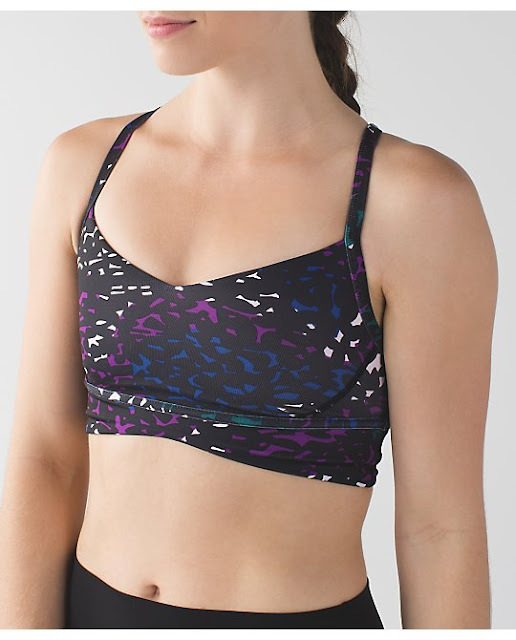 New Free Flow Crop in Kayak Powdered Rose Flashback Static Print. These are made of luon. Energy Bras in Dragonfly Space Dye Twist, Shadow Wrap B/W, and Clouded Drams. New Vent It Out Jacket, made of Glyde. Shown in Poppy Petals White and Fleur Sombre Kayak/Dragonfly. Fluer Somber Wunder Under Crops. I kind of like these. Kayak Blue Fleur Somber What 'Sup Hat. I don't love this print on the clothes much but it makes a very cute hat. Looking at these offerings, which I assume are the big holiday push I am starting to see why Posley got the boot. Since Australia is heading into their summer I am hoping we're going to see a lot more winter-oriented items, including some Sherpa Fleece. 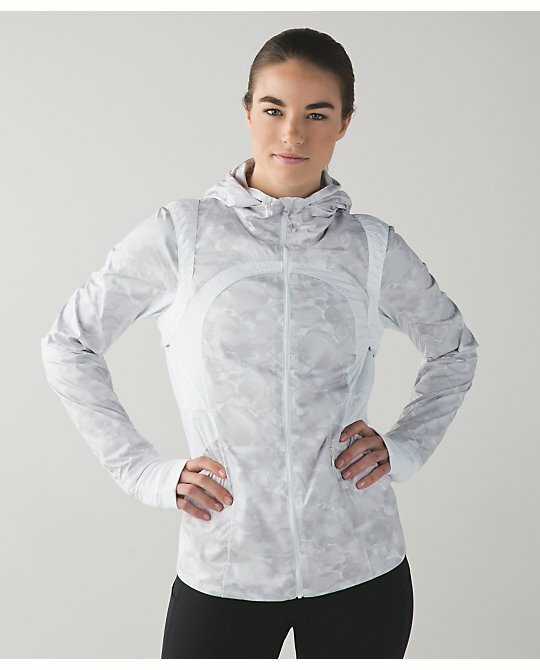 On the bright side, Canada got Tender Violet Down for a Run Vest and Jacket today. Any idea if we (in the US) are going to see any of those hoodie tops or anything in the black grape color? I hope so but it's so hard to tell lately. LLA do you have pics of the Tender Violet DFAR pieces? TIA. I've seen some but they're not mine to use. They're beautiful, though. I've seen the jacket and vest in TV. Super pretty. There is also new Tender Violet pique Speed Tights. All these pieces are in Canadian stores, though. We actually all ready have the short sleeve dragonfly short sleeve swifty in the US. It's super bright. I assume you mean Poseley may not have been up to the design challenge? I wondered the same when everyone was complaining about this past fall's offerings. Given the design-to-shelf lag time, this fall probably marked the beginning of her full influence over the product line? 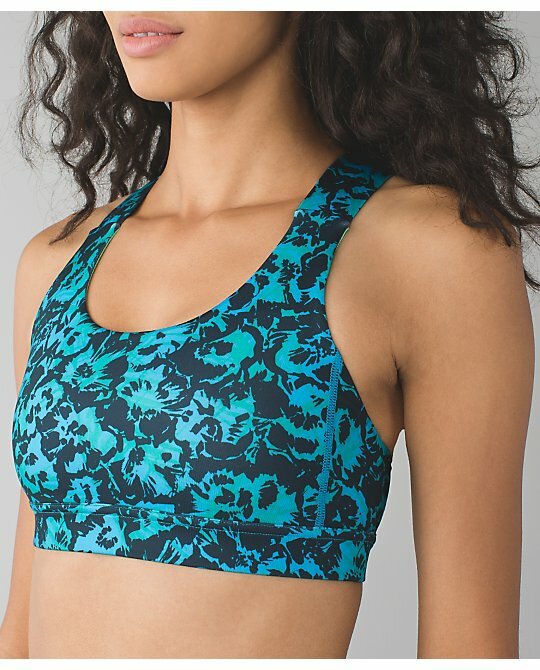 What about the "jungle" color in the ftb bra? It's a nice green. Maybe similar to Very Green with a touch more blue? @ anon 12:30 pm - Well, I'm seeing a lot of the same multi-strap look in the tanks and not a lot of diversity in design. 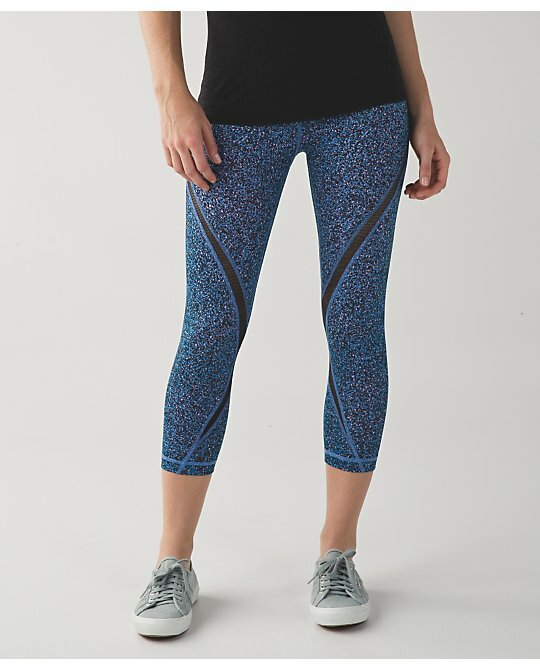 The prints seem very Athleta-ish to me, probably my biggest complaint. Moreover, the distribution is extremely strange - so many new items showing up in Europe or Australia that North America is not getting. It seems that product is kind of sparse for the fall/holiday period and like we're still experiencing port issues. 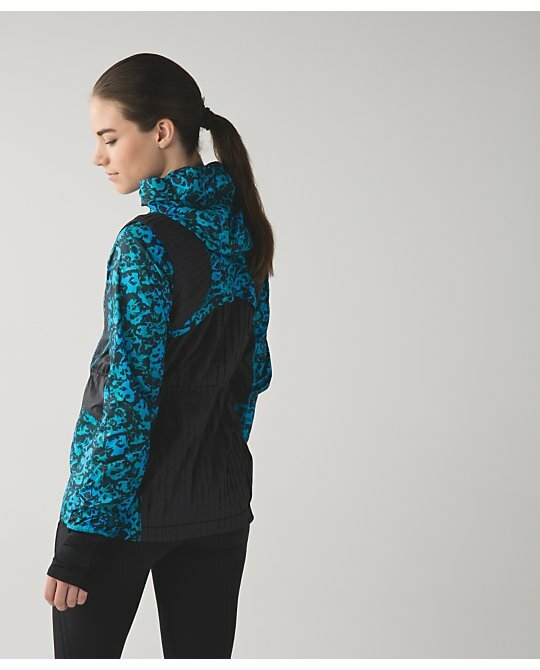 I mean, there are some very nice hits, like the Mesh With Me LS, that really says "vintage lulu" to me, but those items are kind of few and far between. I love the textured fabrics like space dye twist, cyber stripe, etc. but everything feels kind of "off" about how it's being rolled out. I agree with you LLA in regards to the way the product is getting to us the consumers. 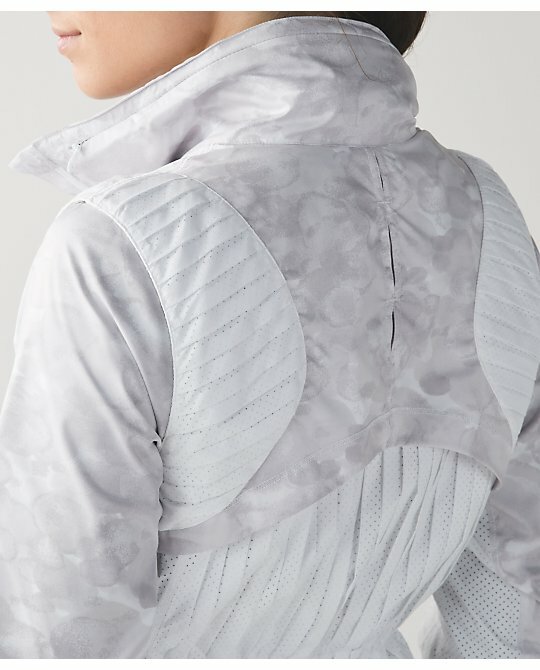 Also the new patterns are definitely Athleta. The multi strap bras are a lot of trouble to put on, and they look like the models have a couple of bras on. 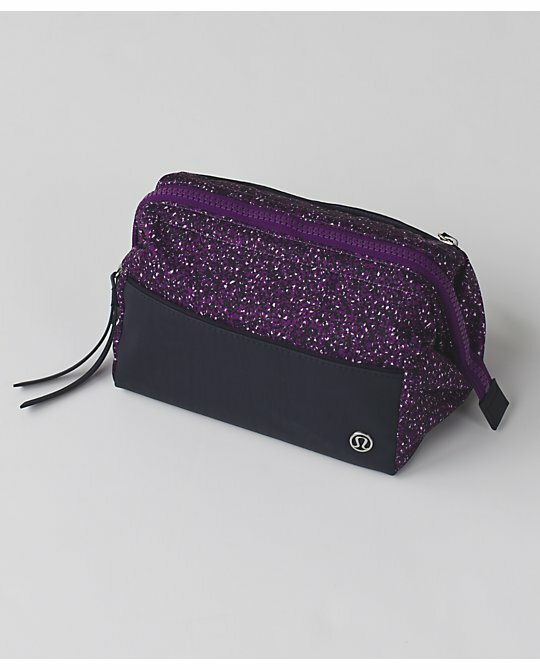 I haven't bought anything in a while from lulu. Got some yoga pants from Teeki to try on they have really interesting patterns. I haven't gotten the pants yet, I am hoping they are not polyester heavy. 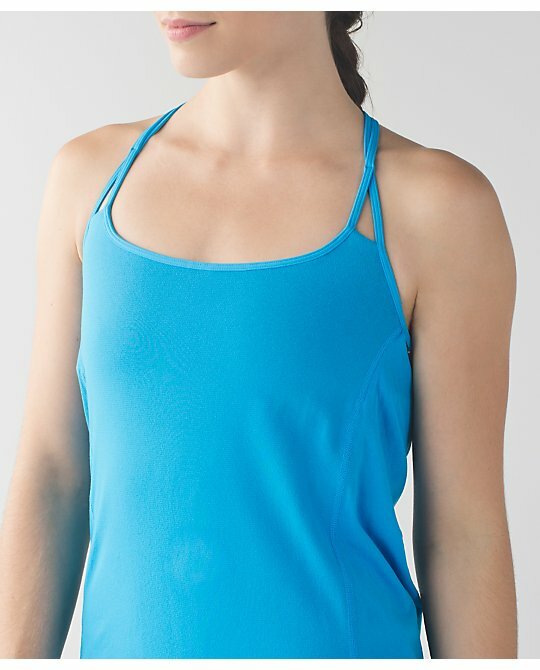 Maybe I am in the minority but I miss the solid one color bras....especially with the FTBW. 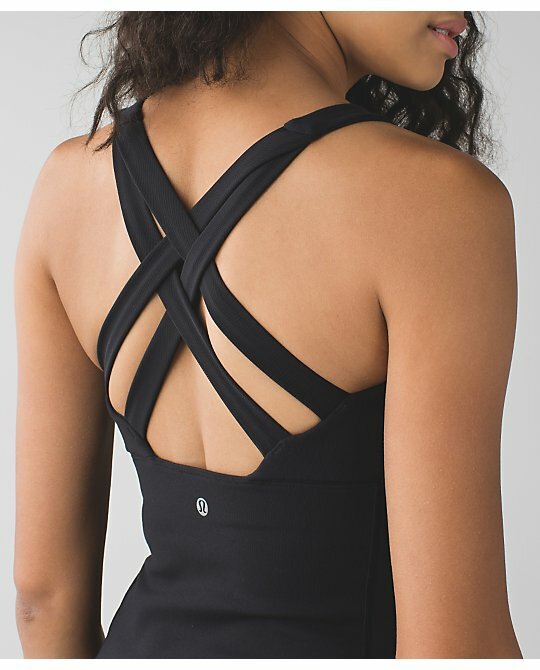 A second color is sometimes ok but they are getting out of hand w three and definitely haven't cared for straps with a print when bra part is solid. I agree i like the bra to be all solid or all print! cheap brands always do piping or the above! I also notice the prints are mostly ugly and reek of cheap crap!!! I also agree that there are nice items here and there but its strange how its rolled out! Hello! Does anyone know how I can get in touch with a Aus Angel? I was really hoping to get a few swim items off of their site!! !